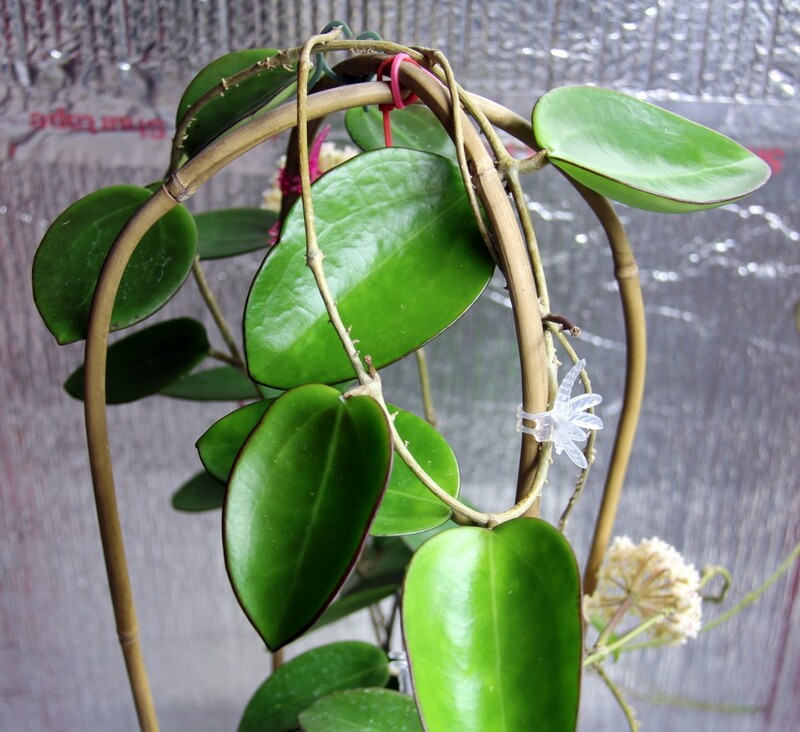 I received Hoya pottsii ‘Thailand’ IML1336 from the Liddle Nursery in Australia in the summer of 2011. Unlike most pottsii, I find that this plant along with its cousin sp. Chiang Mai to be easy to care for and easy to bloom. This plant has (from the Liddle Catalog: thick ovate leaves with large heads of fragrant cream flowers. 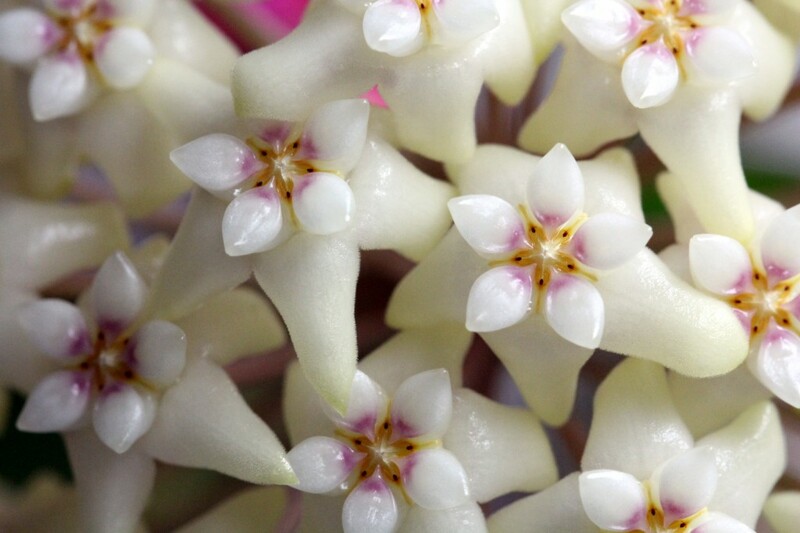 The flowers do indeed have a very potent fragrance, which woke me up from my slumber, many times in the night. I cannot say that it is a particularly appealing perfume, but it is strong! Not being a botanist, I have no real understanding as to why all of what appear to be separated species are all grouped together as H. pottsii. I have four different pottsii, and other than the flowers looking pretty similar, the plants could not look more unalike. 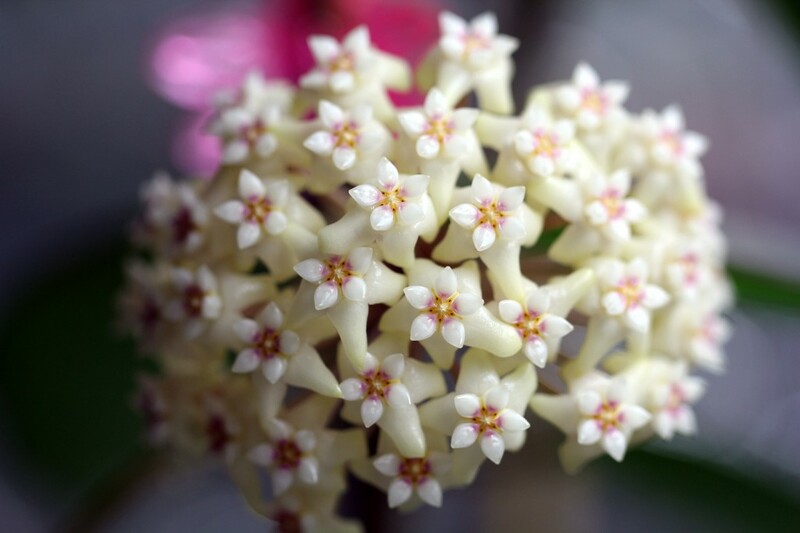 Anyhow, here is how I brought Hoya pottsii ‘Thailand’ into bloom in less than 18 months. I rooted the cutting quickly in my normal light chunky soil mix, and it spent the first winter nearly dormant in my very dry house conditions. Last summer it spent a few months in the summer greenhouse where it grew well and formed small peduncles. I transplanted it to a larger glazed pot and moved it into my very cold basement grow tent in early autumn. While Liddle classified this plant as a cool grower, my tent was just too cold, and the plant did nothing. Not wanting to completely lose them momentum from its summer growth, I finally moved it into my exceptionally hot (86°F or 30°C) grow room upstairs. 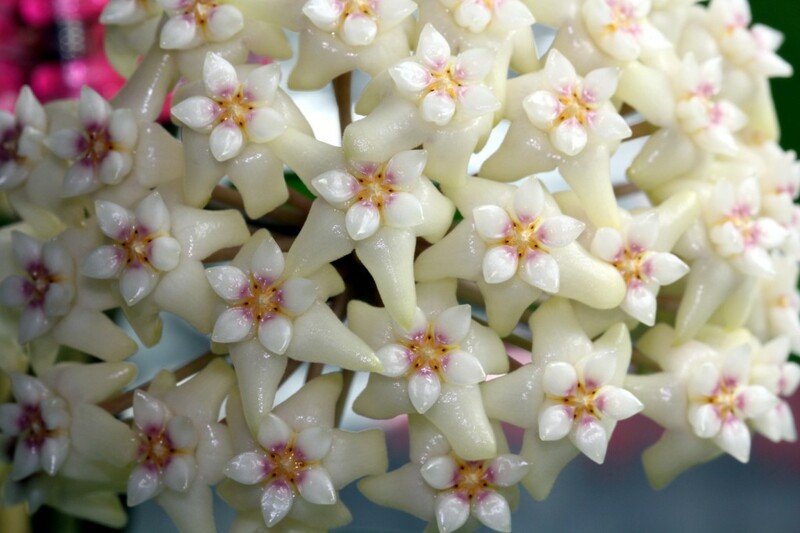 The buds immediately began to form on the peduncles, and it bloomed within a month all under artificial lighting. I can unequivocally recommend this beautiful plant to any northern grower such as myself. 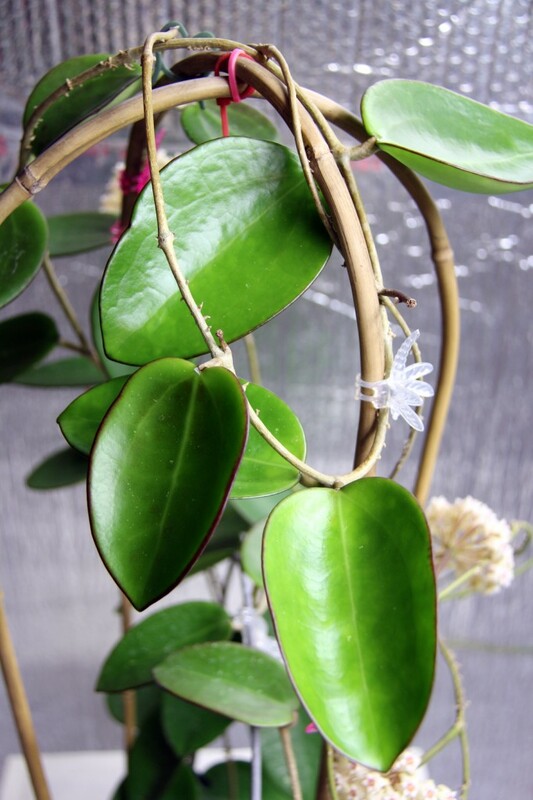 It has lovely foliage that gets tinged with red in good light, flowers easily with high fragrance – whats not to like!